The life of an offensive lineman is normally one of few accolades and harsh criticism, and rarely are these men ever viewed as "once in a generation" types of talent. 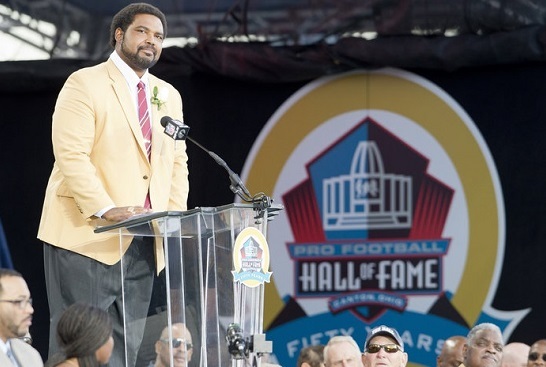 Over the course of his 12-year career, Jonathan Ogden proved to be the exception to the rule. On Saturday, Ogden was bestowed the ultimate honor for a professional football player; enshrinement into the Hall of Fame. With the fourth selection in the first round of the 1996 draft, the Baltimore Ravens used their first-ever pick to acquire the 345-pound offensive tackle out of UCLA. Winning both the Outland and Morris Trophies, Ogden was highly sought-after, and GM Ozzie Newsome knew he had the potential to be a game-changer down in the trenches. Team owner Art Modell wanted to select troubled University of Nebraska running back Lawrence Phillips, but Newsome insisted on drafting Ogden. This decision proved to be wise, as Phillips was out of the league entirely four years later. Ogden went on to play his entire 12-year career with the Ravens. He was voted to the Pro Bowl 11 times, and selected First-Team All-Pro on 6 occasions. He was also named to the 2000's All-Decade Team. Exceptional careers are easily substantiated with big statistics. However, the only real stats that are recorded for offensive linemen are games played and started. So what exactly got Ogden into Canton? For starters, he was understated and intelligent. Ogden kept a spiral notebook filled with his own evaluations of the defenders he faced, noting which tactics they used against him. His agility for his massive 6'9 frame was extremely impressive, and he was equally skilled as both a pass rush defender and run blocker. In 2003, running back Jamal Lewis rushed for 2,066 yards on the year and a game-high of 295 yards against the Cleveland Browns. Ogden was a contributing factor to both accomplishments. Simply put, he was a prominent team leader and the offensive cornerstone of franchise for over a decade. At only 39 years of age, Ogden becomes the youngest player to attain the prestigious gold jacket. He concluded his induction speech by stating: "I am so very proud to have been the Baltimore Ravens' first-ever draft choice, and I am so humbled to be the Baltimore Ravens' first-ever Hall of Fame inductee." Not particularly a Baltimore fan, but I admire the way Ogden played on the field and the manner in which he carried himself off it. Class act all around. Good for him. I agree wholeheartedly with you, Craig. 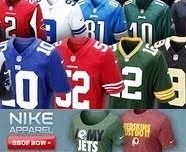 True fans of the NFL hold in the highest regard the best to have played the game, regardless of team. Great first column Sandra. As a former lineman myself I love to see these guys get credit. The Hall of Fame seems to be one of the only places that happens though. I will say there are some stats linemen have (pancakes and sacks allowed) but they are in no way fully encompassing as to their impact on their team. Weight, speed and strength as a combination are the best ways to judge these guys. That, and the other offensive successes of their team. Thank you, Mr. Heerschop. I could have easily chosen Cris Carter for the article and dropped a bunch of stats, but I wanted a challenge. Offensive linemen are in the trenches doing battle, while the "skill" players receive the glory. These guys fight for every inch just like Tony D'Amato says in "Any Given Sunday."